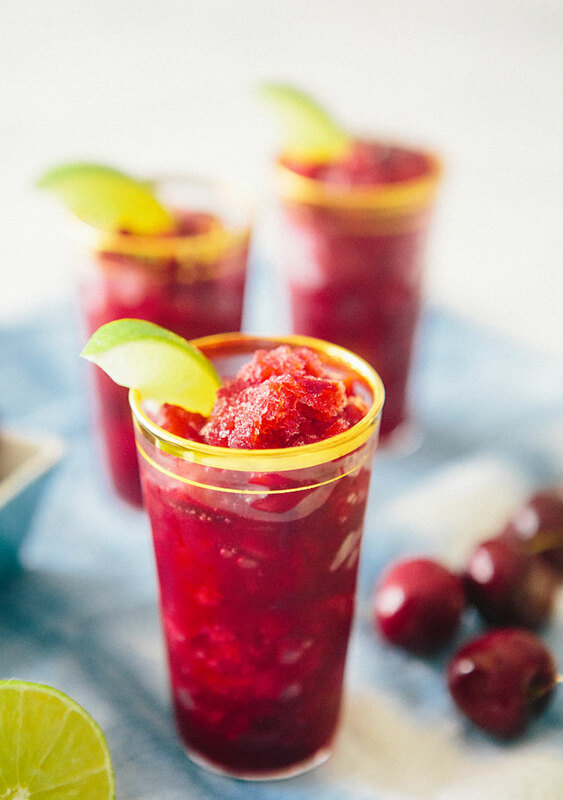 In a large shaker muddle cherries and simple syrup. 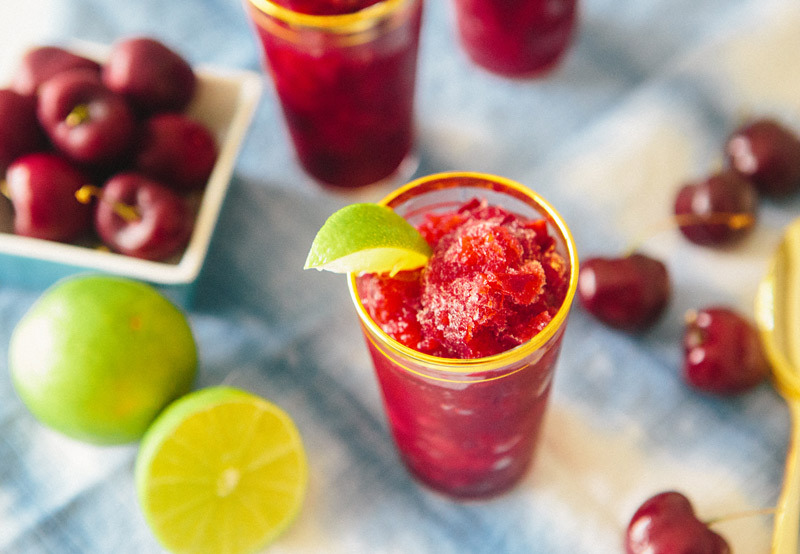 In a medium bowl combine cherries, lime juice, vodka and simple syrup to taste. Pour mixture into a small shallow pan and place in freezer until mixture is frozen. Just before you are ready to serve, scrape with a fork until slushy mix is light and fluffy. i have been eating sooo many cherries. this looks really, really yummy! Yummm! I could use a drink right about now! DEFINITELY making this and having one (or two) in your honor! This looks beautiful! I just can’t get enough cherries right now! Happy Friday! Holy moly! So trying this! I just picked up cherries at the farm stand yesterday. Cheers! 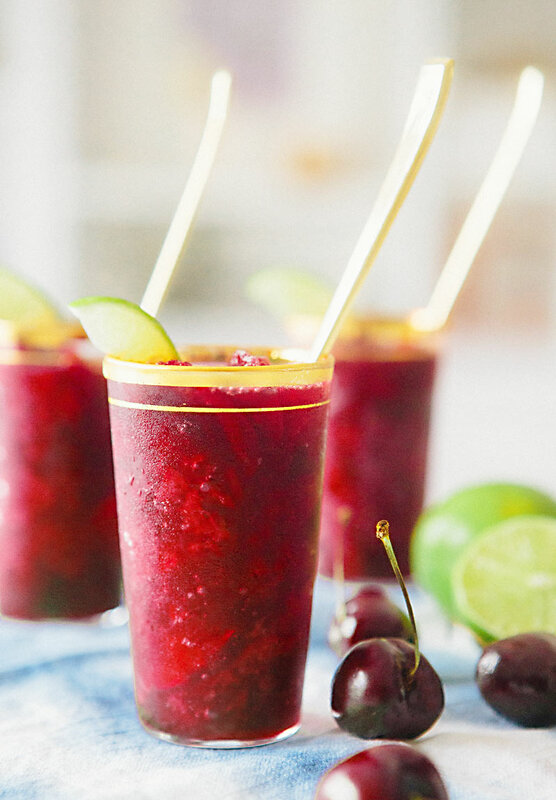 This looks absolutely delicious, perfect for by the pool! This has got to be the most refreshing drink ever! 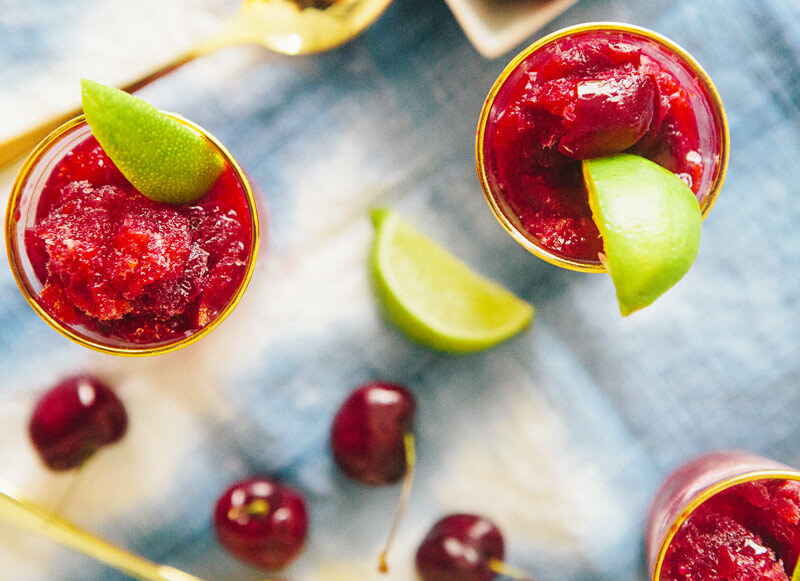 I have benefited from cherries lately to help fight some extreme jet-lag…something about the cherries that help you get back your hours. Happy Nesting.